My mission is to champion life-long learning among rural sales and marketing professionals using education-based content so they and their companies can be more effective, productive and profitable. Business plans waste your time. Their only purpose is to satisfy the bank when you need a loan. After that, they gather dust never to see the light of day again. In order for your business to grow exponentially rather than incrementally, you need to stop wasting time writing more business plans and start thinking about the business model you can employ. Many business owners focus on the importance and discipline of business planning without ever considering if their business model is still relevant to the customers of today. “Plan it and they will come?” Nope. This is a common problem, even here in the year 2018. Most business models are designed to serve their own needs rather than the needs of their customers. It’s incredibly naive and short term to continue to think this way. And it does nothing to establish long term, sustainable growth for your business. 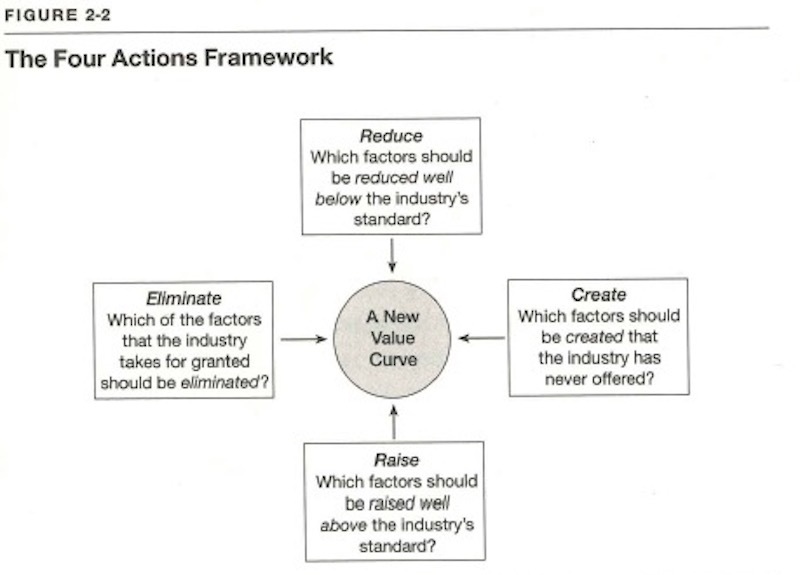 Yet many companies persist in this way of thinking perhaps because they haven’t considered other ways or models. Instead of thinking how can this work for your business, work out how it will work for your customers. If you’re thinking of yourself then you’re only as good as those annoying traditional salesmen who only think about what they want, rather than the wants or needs of their prospects. When this happens, companies and sales teams end up frustrated and worse off wondering why they’re not progressing or losing ground to competitors. The answer is obvious: their model doesn’t offer enough value. Is it radically different to incumbent offerings or does it add to a sea of sameness? Will it help customers solve a specific problem they’ve flagged to you? Will it offer a new service or serve a new market or buyer? Can it capitalise on a new or emerging consumer trend? Does the customer you are targeting not use a current product because it’s too hard to use or too expensive? Can you offer “freemium” options (Dropbox, Spotify) to start with to build critical mass? Is there a subscription (Netflix, Wall Street Journal) or marketplace (TradeMe, AirBnB) model you could use? It’s no surprise that some of the world’s biggest, fastest revenue generating businesses got where they are today because they designed a different business model that disrupted conventional ones - Netflix, Apple, Spotify, AirBnB. Closer to home, my favourite business model is Flick - a great app where you can buy your wholesale electricity on the open spot market (if only they would hurry up and make my dumb meter smart : ). They use great data visualisation and did social media that in my view was a case study example of how to communicate to nervous customer when spot prices where high last winter. There are many example of companies who are defending their business model at all costs for their own gain. Like a game of last man standing. Supermarkets, travel agents, insurance brokers, car dealerships, ad agencies, media companies, even most meat processors. All of them are ripe for disruptive new business models. If you don’t believe me just google Disruptive Business Models (or you can check out this SlideShare). Being customer-centric is not a new concept. Yet you’ll be amazed how many companies are still getting it wrong. This is a great tool and you can download it for free here. What I like about it is it forces you to think about all 9 stages of your business and how they relate to one another. They even provide a video to help you complete it. Freemium at its best! When you copy the same business model others are using, you become a poorer version of the real thing. Maybe you’re a great creative who’s itching to get out of ad agency world and want do their own thing? What do the majority of them do? Set up another agency using wanky words to make them sound like they’re different. They’re not because they’re using the same model (for highly creative people, it’s disappointing (a bit like when they use their own names or initial to name the new business…). I say it depends on what you’re copying. If it’s more of the same, don’t bother. When you employ this tactic the only way you’ll be able to differentiate yourself from the competition is by using price. That means using this crude and highly replicable lever will only mean thinner margins and a race to the bottom. Plus the category will hate you for devaluing it for everyone else. When you mimic other’s models too, you also signal to everyone else you have no original ideas of your own. Not a great look if you promote your business on transforming others. Peter Thiel in his fantastic book Zero to One talks about how businesses need to be 10x better than the competitors to win. He argues incremental improvements on existing features or benefits aren’t compelling enough for customers to switch. We all need to aim higher. What could you be 10x better at? What could you offer that was 10x better? You’ll be surprised how many people rush to create a business or product without ever doing their diligence on what customers actually need or want. They fall deep in love with their new idea forgetting there is a market out there that might not share that same view. Creating a new business model isn’t hard. You just need to satisfy an unmet need or customer pain point. Better still, you could combine these factors together to make yourself unbeatable. Creating an unbeatable business model has to be lots of things, never one thing. It’s the combination of factor you bring together that can mean the difference between success and failure. The best planning tools are the simplest ones. We have W. Chan Kim and Renée Mauborgne to thank for this corker courtesy of their fantastic book Blue Ocean Strategy (which I recommend you buy and read). It’s called the Four Action Framework and it’s dead simple to use. Here’s the example they use for Cirque Du Soleil, now a world renowned, multi-million dollar entertainment company. SouthWest Airlines did the same. Cheaper fares, no lounges, friendly staff, fast turnarounds using lesser known landing fee airports. Result? Most profitable airline in the world. We think business models beat business plans too, which has helped us grow more intelligently. You can use this same simple planning tool for your business. What could you Eliminate, Reduce, Raise or Create in your own business? My advice: Don’t be business as usual. Be business unusual. 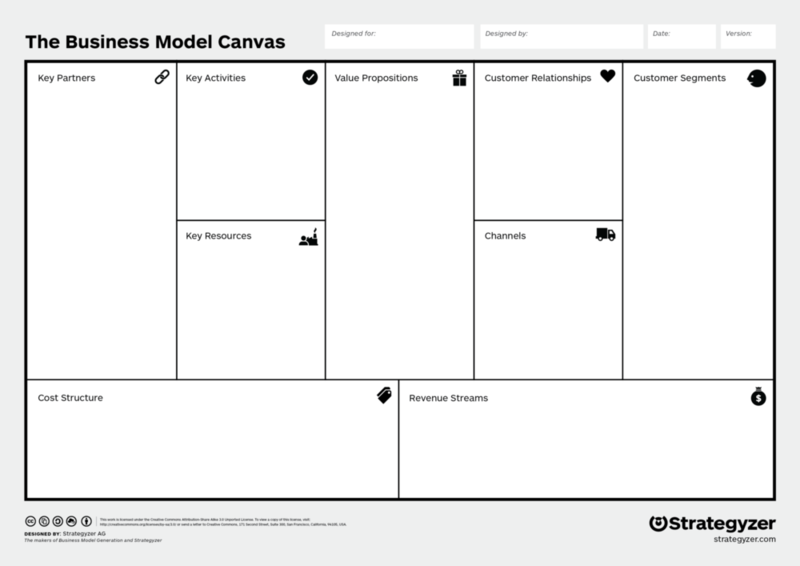 I hope you find these business model tools as useful as we have. Are you struggling to grow your business consistently? Do you keep getting beaten by your competition? Are you looking for new ideas and thinking about how you can position your business better and command higher premiums? Talk to us, without any obligation, to see how we can help you plan for business growth in more effective and efficient ways using tried and tested strategies that we have used with many others. Drop us a line.